Unless you are Lamar Odom (too soon? ), you know by now that Dimitri Vegas & Like Mike won the DJ Mag Top 100 poll, and have been crowned #1 DJs in the world. Surprising? Not really. The Belgium brothers have been behind the decks since 1999, but it wasn’t until 2010 when they produced the Tomorrowland anthem, “Give Into The Night (Tomorrow)” with Dada Life, when they made an impact in Dance Music. Prior to 2010 the DJ duo had only released 2 original tracks and 16 remixes, so we have to wonder why Tomorrowland promoters chose them. But anyways, fast forward 5 years, Dimitri Vegas & Like Mike are marketed as ‘The Kings of Tomorrowland’, with over 7 million Facebook fans, and crowned as the #1 DJs in the world. Being the #1 in the world at almost anything comes with a lot of prestige – but in the music world, Dimitri Vegas & Like Mike, aside from inflated egos, will benefit from a higher booking fees (except Tomorrowland for all the support and marketing), bragging rights, and a unnecessary amount of exposure. However, the road to being voted #1 isn’t an easy travel, Dimitri Vegas & Like Mike had to take the back alley. YourEDM recently published an article detailing a conversation about Dimitri Vegas & Like Mike. The article went on to explain one of Dimitri Vegas & Like Mike back alley tactics, during which a group of good-looking girls walked around the festival asking attendees to type and submit their info into a prefilled iPad that votes for the Belgian duo. Then back in January of 2014, Electrokill (now EKM.co), leaked the contract between Dimitri Vegas & Like Mike and Maarten Vorwerk for the ghost production of “Stampede”. Obviously, management and Vorwerk denied it all, and in a statement to Magnetic Magazine they asserted the contract was fake. 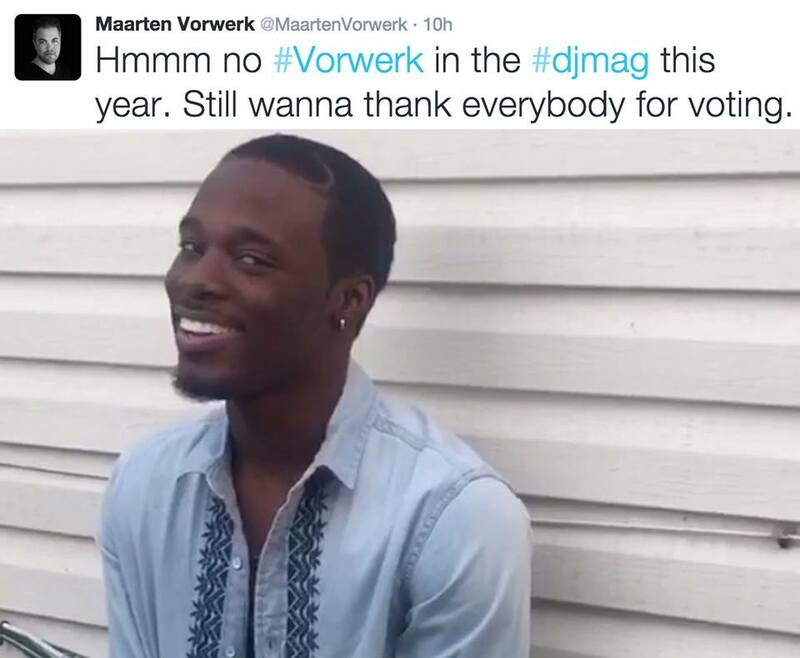 Sources close to Maarten Vorwerk confirmed that he has stopped ghost producing for Dimitri Vegas & Like Mike, and while he can’t ever confirm publicly that he did, Maarten Vorwerk has gone to mock the DJ Mag top 100 results with obvious hints. I should point out KSHMR, another notorious ghost producer, after bashing DJ Mag 2014 poll results, had his first DJ gig in September, 2015 at the Fonda Theater (owned by Goldenvoice producers of Coachella, possible KSHMR Coachella 2016 set?). It was a venue with a 1,200 capacity, yet was able to land the highest new entry at #23. At the end of the day, whether DJ Mag Top 100 is based on DJs, producers, or those with money, congratulations to Dimitri Vegas & Like Mike for winning #1 DJs in the world and for proving anything is possible.